Additionally, while today we speak about channel-specific PR or marketing, the future will be different. Traditional and digital PR will merge and it will just be seen as PR. Segmentation will end when the digital divide is bridged. In the meantime, the idea of digital PR continues to proliferate while we see a decline in traditional. A recent digital readiness report states 18% of marketing decision makers have no interest whatsoever in traditional marketing. This shows a good percentage are already embracing digital fully and is a potential harbinger of the future. Other data in that survey adds to this: a majority agree that knowledge of social networks (80%), blogging, podcasting and RSS (87%), and micro-blogging (72%) is either important or very important when it comes to PR and marking hiring. Many marketing/PR professionals and agencies are already on board and becoming more sophisticated in their strategies daily. But for those who are new, I’d like to discuss why it is such a great platform for interacting. These are points I touched on during a recent panel on PR and Twitter however I wanted to follow up with more detail. As discussed frequently at Online Marketing Blog social media and SEO have a symbiotic relationship. And digital marketers who go a step further find there is a nexus between SEO, social media and PR. Uncover this and you will discover the three play off each other for even greater results. Your keyword glossary should not be used merely for SEO – rather, use it across all marketing channels, including in PR programs. After all, generating more search demand for keywords you are optimized for is only going to help you long term. Social Media PR consulting is a dynamic, constant process, and not all companies will be agile enough to embrace it. But it allows truly passionate and authentic brands to stand out, build a tribe and become referential. The few brands and professionals that get it right are memorable because there are so many who get it wrong. Having an effective strategy and the patience to see it pay off, enabling your brand “tip” in the social web is reserved for those who can commit long term. But those who do will see returns far greater than traditional PR can offer. Today I shared a brief overview of why to use social media for PR. If you’re not already a reader here be sure and subscribe, as next I will explore how to use social media for PR. Yesterday I presented at PubCon on the intersection of social media and PR. The session title was “experts on PR and Twitter,” however the session description went on to discuss a variety of networks. Therefore my interpretation was to speak on the intersection of social media and PR, and not just PR and Twitter. The social web is far more than just Twitter, and if Twitter is the extent of your participation, you’re really limiting yourself. I also think it’s a bit funny we’re talking about channel-specific PR in the first place. While we segment the idea of “social media PR” today, in the future this will not be the case. It will just be PR. There are too many faceless brands, companies and even, amazingly, people on the planet. We crave authenticity – and in fact digital channels reward it higher than traditional. This is because they are personal versus the fact that traditional channels produce content as the result of a polished, refined process. The truth is the web is not meant to be a finished product; it is merely an avenue to express ourselves. Embrace PR with this in mind and you’ll nurture a very different kind of relationship than those who treat it like a broadcast tool. The idea of social media scaling for customer service is of course a misnomer – it doesn’t. But popularity on the other will continue to grow. That’s not to say it’s easy to keep up, but look at the runaway growth of certain brands, networks and media and you’ll see this to be true. When something becomes referential it just keeps growing. Digital media – due to links, sourcing and aggregation just continues to build upon itself. Staking a claim sooner rather than later is how you’ll grow. Permission marketing is a core skill for digital PR and marketing professionals to embrace. By growing a community and getting people to say “yes, I want to hear from you,” you’ll earn the permission to share your messages with them long term. And overtime, you will develop influence, trust and eventually be seen as an authority on a subject. And as Brian Clarke sagely advises: authority rules. If you acquire digital PR and never do anything with it, you’re not optimizing your social proofing. If you’re gaining endorsements from credible industry professionals or generating tons of buzz and links about your product and not showcasing that, it is a missed opportunity. While many will have seen the buzz, what about those who have not? Here at TopRank, we embrace this by aggregating social proofing in our digital marketing newsroom. As discussed frequently on TopRank Blog social media and SEO have a symbiotic relationship. And digital marketers who go a step further, discover there is a nexus between SEO, social media and PR. Discover this and you will find the three play off each other for even greater results. Your keyword glossary should not be used merely for SEO – rather, use it across all marketing channels, including in PR programs. After all, generating more search demand for keywords you are optimized for is only going to help you long term. Pull PR is superior to push, there is no escaping this. A (not so) secret part of media is this: media report on media. It’s so simple, yet so overlooked. By becoming media, you embrace a pull strategy naturally and will attract attention from all other types of media – both professional and amateur. Certainly this is a very short list of why you should embrace social media for PR. Hi Adam. Interesting perspective. 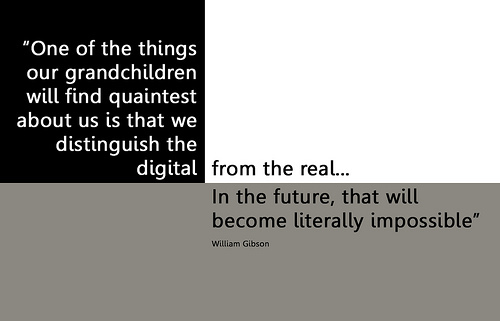 I'm curious how long you think it will be before the traditional and digital converge. I believe that traditional PR will always have a place, but the PR firms objectives and tactics will evolve. In addition, they will need to get much more savy at the social side of things. @Adam – This is one of the best posts I've read in a while. One question…do you think the marketing decision maker who is totally digital may be a little over-zealous? Shouldn't some traditional tools stay in the toolbox? Great post! At my SEO content firm we are always stressing the importance of utilizing keywords across multiple channels to our clients, i.e. – blogs, press releases, social media posts, etc. as well as how social networking can really expand the reach of their “brand” in addition to their blog or website. I thought your explanations on how PR and social media can work together were very insightful and well put. Thanks! “Build a tribe,” I love that. Great points! The authenticity/personality point is SO important! Its not about whether you blog or tweet, it's how you blog and tweet! How you show up & what you post matters. Thanks for sharing! The ideal case is your digital presence is remarkable enough to inspire organic PR across channels – both traditional and digital. If you can achieve that, traditional push tactics become less meaningful as you'll become in-demand. Instead of seeking media, media will seek you. If you can achieve this, your PR shifts from something very tactical to something far more strategic. Not all brands will be able to achieve this, of course – so the answer to your question depends on the situation. If you stop and think about where society is headed and consider the amount of change in the last decade alone, it seems like if anything the pace of change will only accelerate. It's difficult to attach a length of time to that question, but my opinion is it will happen sooner than we expect. Great articlee. We also suggest to clients to take the press releases and post as news items to the groups belong to in Linkedin. Its very powerful. Definitely agree with your perspective on social media and PR. Social media has certainly given us the opportunity to show our current as well as prospective clients a face to the name Blue Phoenix Media. Also, you're very right about social media being a constant process. I've seen companies begin social media campaigns, (i.e.) a Twitter account and literally tweet about 3 times and then you never hear from them again. To truly take advantage of social media you have to be out there talking on a daily basis. Grab your audience's attention and don't let it go! Thank you for putting together this well written piece – content like this helps those of us who need to, sell the idea of social media to the non-believers. Thank you, this was a great post. We will definitely start to use our social media outlets for PR purposes. All of the benefits listed will help make a more effective PR strategy. Interesting this one. Good post. Your blog is REALLY hitting home with us and other readers! Yes, i really agree to your points here. Twitter is just a giant part of social media but it doesn’t constitute the whole media itself … There is a lot of other stuff and platforms avaialable for you to build your brand and reputation. I was just checking Sphinn yesterday, it is really one of the great resources to leverage your social media efforts.